“Security is mostly a superstition,” Helen Keller wrote in The Open Door. “Life is either a daring adventure, or nothing.” Embracing adventure is a central theme in Gila Monsters Meet You at the Airport (public library), a charming book about a young boy moving across the country. 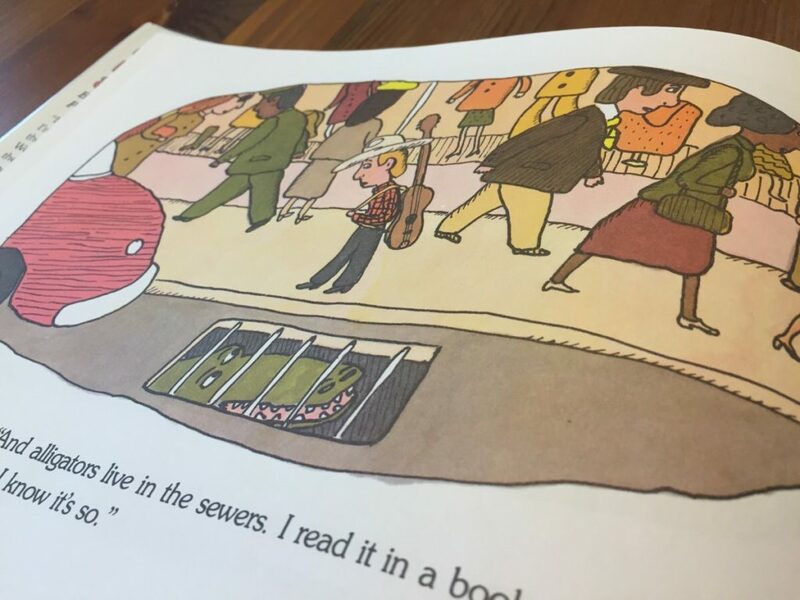 First published in 1980, this witty story and its quirky illustrations have captured the hearts and minds of several generations. Enter Gila Monsters Meet You at the Airport. 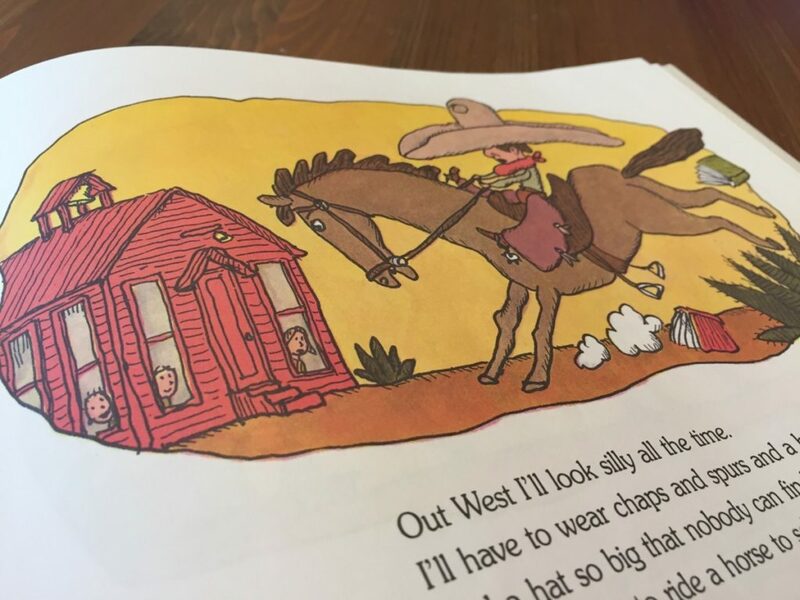 The story starts in New York City, where the family is packing up their possessions and preparing to head “out West.” Clearly ambivalent about moving, the hero of the story shares his exaggerated notions of what he thinks it’s like to live in the Western United States. The fear is palpable. The preposterous half-truths presented about the West are immensely entertaining, like how the people living there speak very slowly and ride horses to school. My best friend is Seymour, and we like to eat salami sandwiches together. Out West I probably won’t have any friends, but if I do, they’ll be named Tex or Slim, and we’ll eat chili and beans for breakfast. And lunch. And dinner. While I miss Seymour and salami. In a hilarious turn of events, the hero meets another boy his age who is moving from the West to the East. 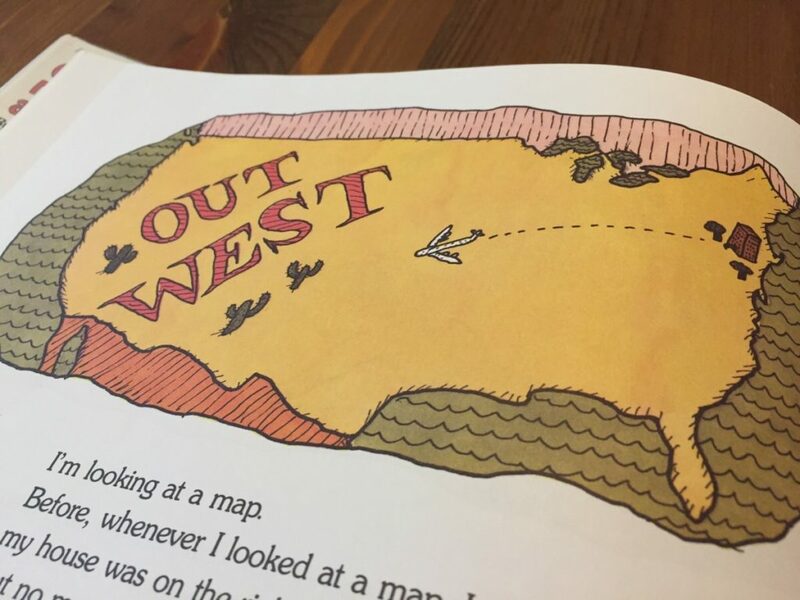 It’s evident that the boy is just as terrified of moving to the Eastern United States as the hero is of moving to the West. He has preconceived notions of the East that the hero knows are false. I see a boy in a cowboy hat. He looks like Seymour, but I know his name is Tex. After flying out West, the hero discovers that things are much like in the East. He sees normal looking restaurants and other children riding bikes. In the end, he realizes that his preconceived notions of the West were wrong and that his fears were groundless. Tomorrow I’m writing a long letter to Seymour. I’ll tell him I’m sending it by pony express. Seymour will believe me. Back East they don’t know much about us Westerners. 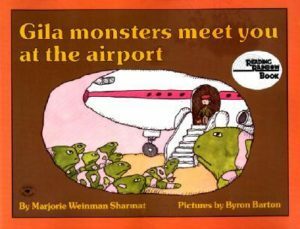 Gila Monsters Meet You at the Airport is a profoundly important book with a vital lesson: Not all preconceived notions are correct, and not all adventures are something to fear. As an added bonus, this endearing story is as enjoyable for adults to read as it is captivating for children.